They did so at Mount Elizabeth Hospital’s Endoscopy Centre, with 50 of their family members and friends witnessing the engagement ceremony officiated by a pastor. 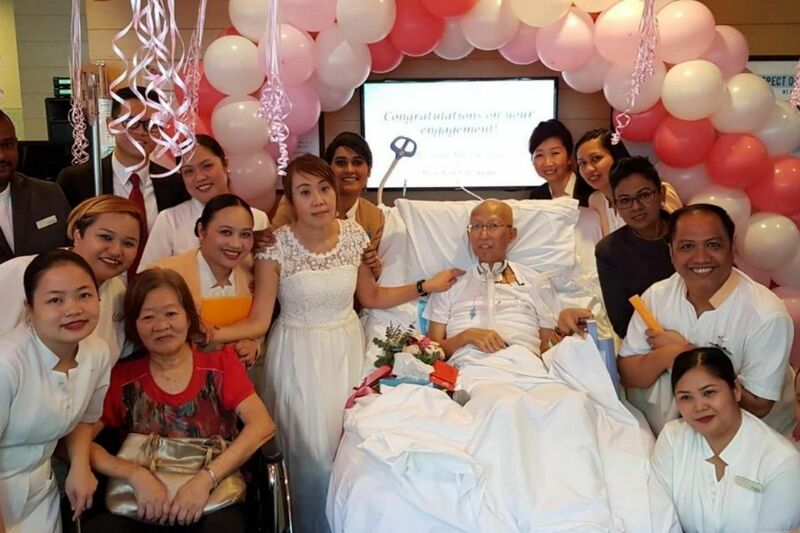 The nurses from Mr Pang’s ward sang songs for the couple and presented them with flowers and balloons. Some of them also helped Ms Koh with her make-up, while the hospital’s chef prepared a cake for the couple.